Central Coast Mariners are prepared to be patient with Olympic sprint champion Usain Bolt, after handing him a chance to train with the club. Bolt has joined on an open-ended arrangement, with the Gosford club prepared to take a look at his footballing ability before deciding whether he might get a playing contract. The 31-year-old Jamaican is to train "indefinitely" with the Mariners, who finished bottom of the A-League last season. Central Coast have missed out on the Finals Series for the past four years and will go into a new campaign with Mike Mulvey in charge - their fourth coach since 2015. They operate in one of the country's smallest soccer markets, and CEO Shaun Mielekamp is excited by the possibility of what Bolt's arrival can do for the region. "This may take three weeks, this may take three months, this may take six months. It may take longer, who knows?" said Mielekamp. "Only time will tell." New Socceroos coach Graham Arnold, who formerly coached the Mariners, is keen to see how the opportunity works out for the team and the player. Bolt has also had training stints with German giants Borussia Dortmund, South African club Mamelodi Sundowns FC and Stromsgodset in Norway. "I think you have to have faith and trust in the Mariners coaching staff. Mike Mulvey isn't a stupid guy - he's won a championship and you have to trust him that he will judge Usain as a footballer and not an athlete," said Arnold. 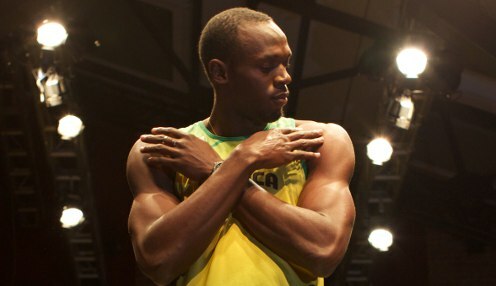 "He'll judge him on whether Bolt is better than what he's got. That's his decision. For me, it has to be a football decision." Central Coast are 12121/1 to win the 2019 A-League Grand Final, while the Mariners are 23/10 to win their first game of the league season against Brisbane Roar.